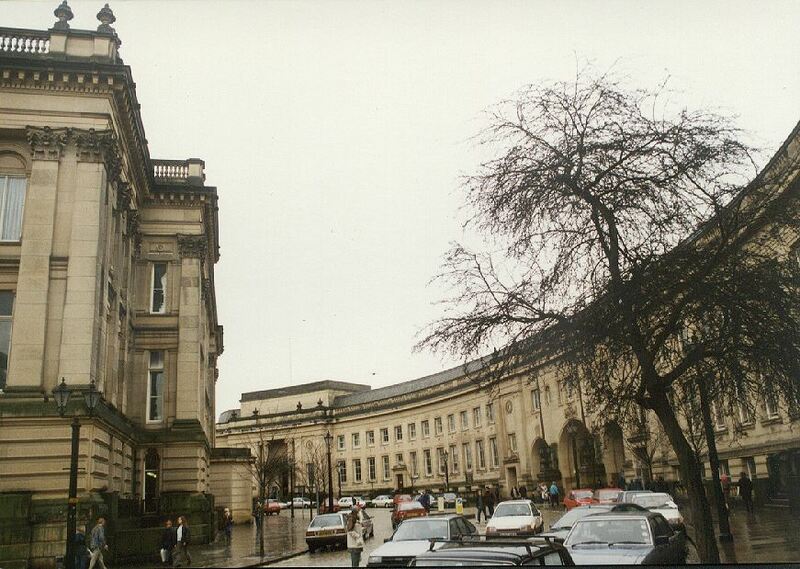 Named in 1974 in honour of the twin town in the south of France, Le Mans Crescent runs behind the town hall between Deansgate and Ashburner Street. Before the crescent, there was Howell Croft North at the police station end, and Howell Croft South at the library entrance end from a map dated 1930. The Crescent is host to the annual Victorian Fair each August. 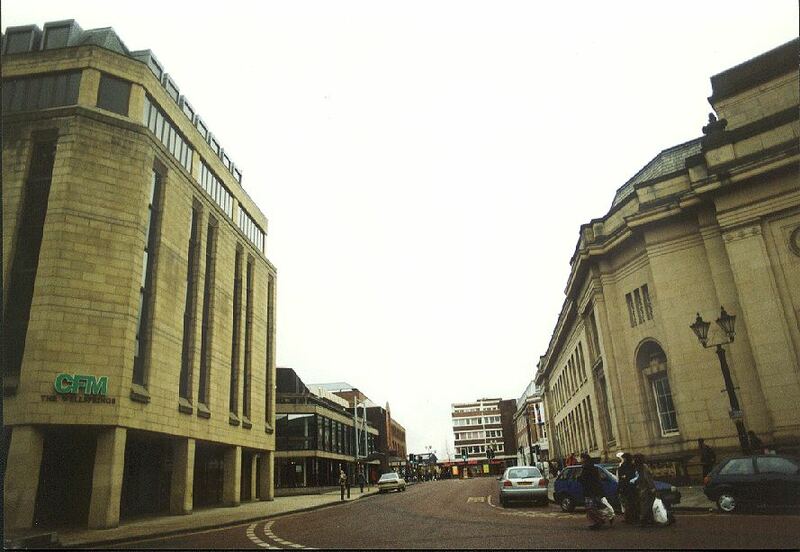 The back of the town hall is on the left, with the entrance to the library at the end of the crescent. This is taken from Howell Croft North. 66k JPEG the magnificent entrance to the Library, Museum and Art Gallery. 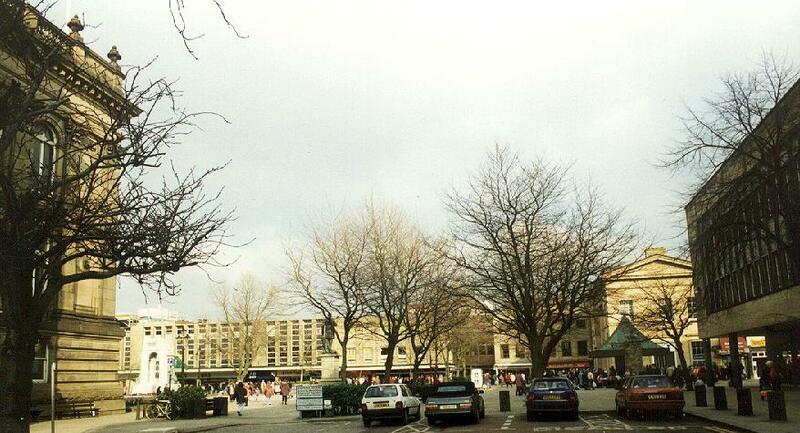 These are the former Civic Centre buildings handed over to the Library and Museum. 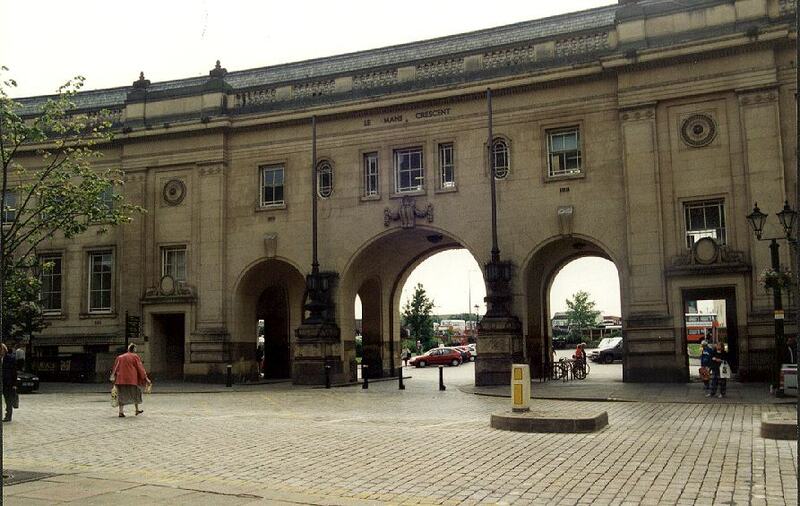 This arched accessway allows passage from the middle of the crescent into Cheadle Square, and there is a picture from the other side in the gallery. This is looking in from behind the statue of Chadwick. This is looking in from behind the statue of Dobson. 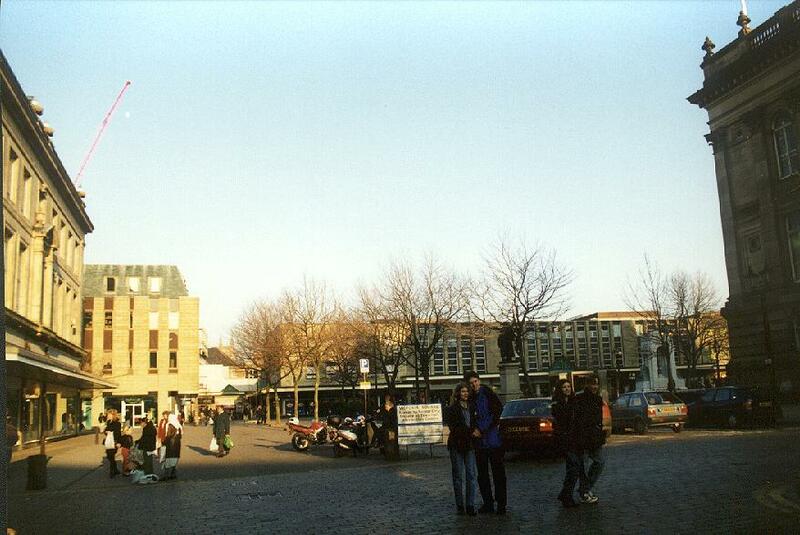 Enter the town hall on the right of this picture. On the right is the Wellsprings, and ahead is the entrance to the museum. Oscar's bar is the lit doorway on the left. This view is into Howell Croft South. You can either go into the Octagon, onto Newport Street or onto Ashburner Street. The building on the left is the Wellsprings. 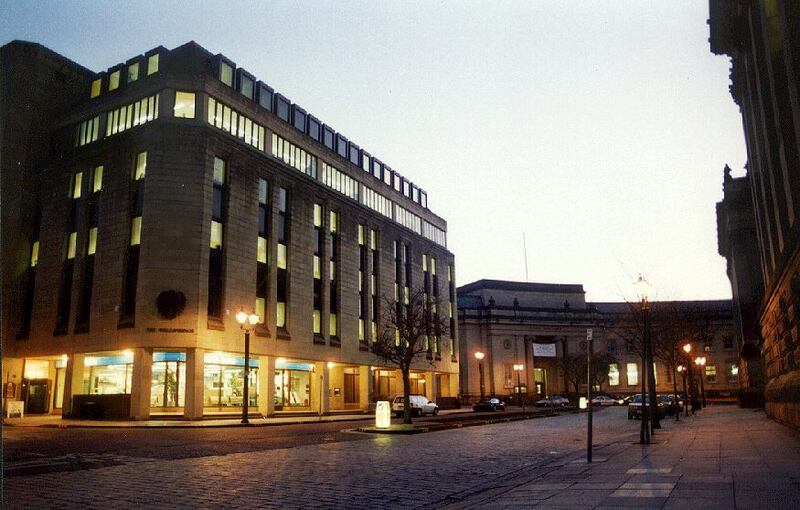 Originally built to house part of the Bolton Metropolitan Council, it is now given over to commercial office space. It was designed to be in keeping with its environment. 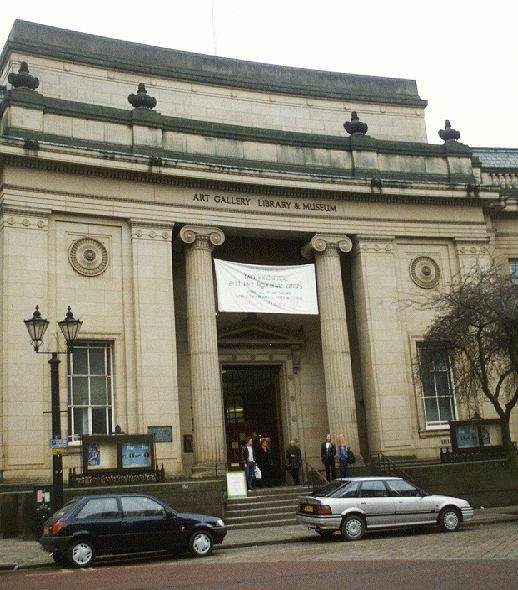 The library and museum is on the right.